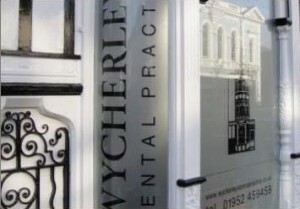 Wycherley’s Dental Practice is located at 49 High street, Newport, Shropshire, near Telford and is believed to be built as an infill house between existing buildings dating back to the 17th century. Dr Ashok Jakhu has restored and transformed the building into a modern, state-of-the-art private dental practice. Many original features have been retained with each modern surgery boasting original fireplaces adding to the character of the period property. At Wycherley’s Dental Practice excellent patient care is paramount and great care is taken in ensuring that patients are relaxed and calm when receiving treatment. We offer an extensive range of dental and facial aesthetic treatments. The team is led by Dr Ashok Jakhu who has undergone extensive postgraduate training and has a special interest in cosmetic, restorative and implant dentistry (see below). The team at Wycherley’s consists of a fully qualified hygienist and dental nurses. Wycherley’s Dental Practice prides itself on its first class facilities and on going investment, ensuring that we are at the forefront of dental technology. We are able to offer emergency appointments within 48 hours and carry out complex treatments such as IV sedation, removal of wisdom teeth and Implants. Below is a list of some of the reasons why you should choose our practice if you are searching for a private dental practice in Telford, Shropshire or Wolverhampton and Stafford areas. The VELscope Vx is the most powerful tool available for assisting in the discovery of oral abnormalities. Using the VELscope, a wide variety of oral abnormalities can be discovered — often before they are visible to the naked eye.